"The most interesting aspect of the AXIOM cameras is that they have the potential to be the last camera you will ever need due to the fact that they're infinitely upgradeable… they won't eventually become technologically obsolete like most cameras." - Robert Hardy, No Film School. 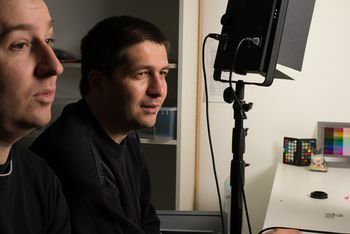 Film-making has long been considered an expensive discipline accessible only to the select few. This all changed with the adoption of movie recording capabilities in digital single-lens reflex (DSLR) cameras. For multinational corporations like Canon or Nikon this “new” feature would have been a relatively straightforward addition to existing models when you consider that most compact digital cameras at the time could already record video clips. But when this was done, by a third party, it was the first time that a large diameter image sensor, the vital component for creating the typical shallow depth of field that we consider cinematic, appeared in consumer video cameras. In recent times, and because existing manufacturers have proved reluctant to open their protocols up to the wider world, user groups have accepted responsibility and contributed to the DSLR revolution first-hand, e.g. the Magic Lantern community. However, more recently, and since Magic Lantern's contribution to the film-making world, Canon has issued legal warnings that forbid modification of their cameras' firmware. Serving, no doubt, as a 'shot across the bow' to anyone who seeks to make logical improvements on behalf of users. In 2006 Oscar Spierenburg, a Dutch painter and film director, noticed a discussion taking place on DVInfo.net entitled “3 channel 36 bit 1280 X 720 low $ camera”, inside which Elphel cameras, which are typically used in scientific applications, had been mentioned. By early 2009, and because over the course of three years upwards of 1000 posts had been submitted to this thread, we realised that it was going to be difficult to maintain a full overview of the project in this way, and consequently a dedicated website was established. All of the decision making and naming/logo design was decided upon by the community. After having done some contracting work with Elphel during 2011, Sebastian began to focus full-time on the project and in July 2012 the plan to create an AXIOM camera hardware prototype from scratch, and thereby overcome some of the limitations that were found to be inherent with Elphel hardware at the time, was announced at the Libre Software Meeting in Geneva. This prototype became known as AXIOM Alpha. The AXIOM Alpha was an FPGA and CPU combination based on the Zedboard. By using off the shelf components we interfaced a Super35 4K image sensor with an HDMI linked external recorder. The Alpha featured a Nikon F-Mount and was encapsulated in a transparent, laser-cut enclosure to offer its internal components some protection. It was mainly intended to prove that, in the simplest way possible, everything could be made to work, but the system worked so well that it's still used by the community for workshops and for the shooting of small projects today. One such workshop took place at the 37th Clermont Ferrand Short Film Festival where students and film-makers got to explore and utilize the camera first hand. 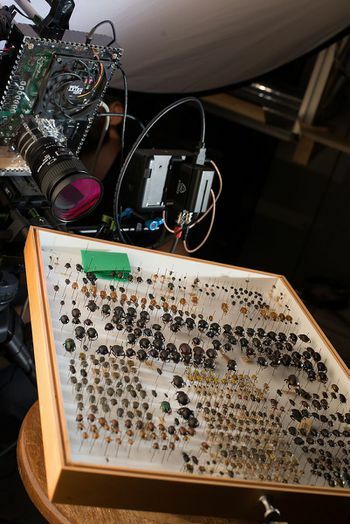 Other projects have involved attaching the AXIOM Alpha to a cable camera at Schloss Schönbrunn in Vienna or shooting Shots of Insects. Essentially though, the AXIOM Alpha was used to gather feedback in typical shooting scenarios so that ideas could be incorporated into a future, more modular, kit version aimed at developers and early adopters – AXIOM Beta Developer Kit, but this prototype was the culmination of years of cooperation dating back to 2006. Shortly after development on the AXIOM Alpha began, and to combat this, a non-profit organisation was established to provide legal shelter for the community and an apertus° company was registered in order to facilitate responsibilities that had previously been neglected, e.g. signing contracts with electronic part/service providers, paying for prototype manufacturing etc. Because of his drive and enthusiasm for the project Sebastian was elected apertus° Association chairman. After reading a local hackerspace forum post in May 2013 Herbert Pötzl became aware of the community’s efforts and met with Sebastian shortly thereafter. Herbert already had an extensive background in electronics engineering and software development and was appointed AXIOM Technical Lead. After Herbert helped to develop critical aspects of hardware and software the AXIOM Alpha prototype was showcased at the Vienna Hackerlab in March 2014 whilst rough planning for a more modular, powerful camera was well underway. Sebastian and A1ex in the lab. Whilst it's true to say that development is in the early stages, because of how it’s being designed to constantly evolve and improve, it's unlikely that there’ll ever be a “final” version of the camera. This means that even when the camera is at a stage where everything is fully working and shipped as a finished product there will still be scheduled improvements delivered in software or offered as optional hardware upgrades - thus establishing an ecosystem and hardware platform rather than a final product. For an interactive and more detailed time-line of project benchmarks please see Project History on apertus.org.